Тэд өөрсдийн хит дуу болох NOBODY-г Англи хувилбарт оруулан дараагийн сард гаргах талаар өмнөх мэдээнд дурдсан байгааг хэлэхэд илүүц биз дээ. Sorry for the late update- how is everyone?? And yes, We’re back in NYC!!! It’s a different feeling this time being in NY since we’re not only here for a few days for concerts, but we’ll be here for a few months or maybe even more! We’re preparing for our debut here in the US, and enjoying every moment of being in the big city. So far, we’ve been doing a lot of sightseeing, shopping, and we had so much fun at the beach this weekend! Watch out for more of our news and updates on our myspace, facebook and twitter!!! Join our official facebook page , see us on our YouTube channel ( http://www.youtube.com/wondergirls ), friend us on MySpace ( http://www.myspace.com/wondergirlsusa ), follow us on Twitter and read our blogs on MTV Iggy too!!! We’re trying to keep in touch with our lovely fans as often as we can, so join!!! Thank you so much for coming out to the concert to see us on Sunday night. We enjoyed interacting with you so much. We were a little nervous at first, but it was so fun and encouraging to see the audience even American fans follow our dances and sing along with us!!! For everyone who came to our MTV taping, thank you so much. Hope you all had fun. It was soooo exciting to see our names and ourselves on the huge jumbotron in Times Square!!! We hope more people get to know about us and learn about our music and dances. Please spread the word! Wonder Girls Myspace Page Launch! Wonder Girls just finished their Myspace page. We know this because Ningin just finished designing it for them. It’s not something we normally do, nor do we especially like doing Myspace layouts in general. But JYP asked and we just couldn’t say no. So if you have a Myspace account, go friend them! Please don’t ask us to do your Myspace page for you. Like I said, this is not what we do on a normal basis. 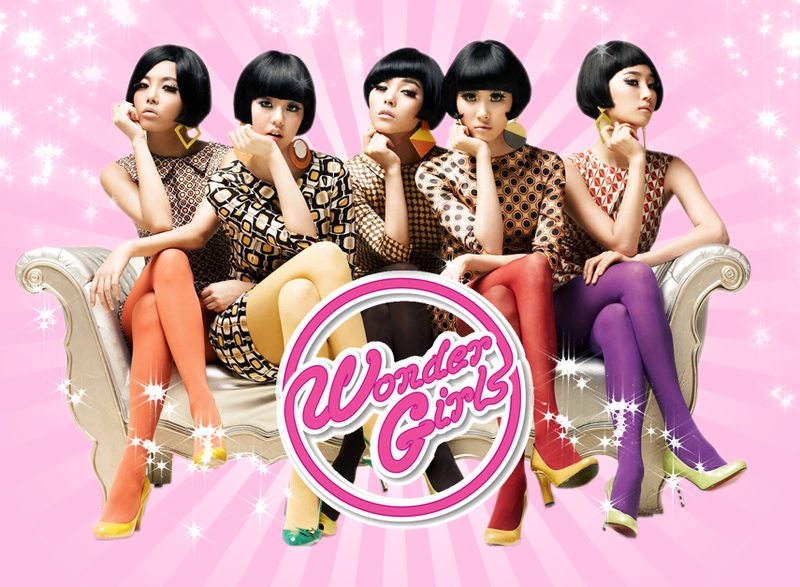 Wonder Girls also have a Facebook group, a YouTube Channel, an iTunes page, and their CDs on Amazon. Very soon, each member of the group will have their own Twitter account (Sun Ye, Ye Eun, Sun Mi, Yubin, Sohee). Very web 2.0 right? They’re so busy, I hope they can keep up with all this stuff. We’re in Thailand! Just arrived yesterday, and we’re busy getting ready for our concert this Saturday. It’s our 2nd time here in Thailand, and we’re so excited to be back!!! So many of our fans here came to cheer and support us at the airport, and we loved seeing you all. Thank you for all your love and support!!! We’ve prepared so much for this concert so we hope many of our fans come out to see us! Oh and by the way, we’re going to launch our own official Wonder Girls website, MySpace page and Facebook Group, so please join and support us!!! We’ll keep you updated! And don’t forget to submit your dance videos!!! We can’t wait to see them! SEE YOU AT OUR CONCERT! !